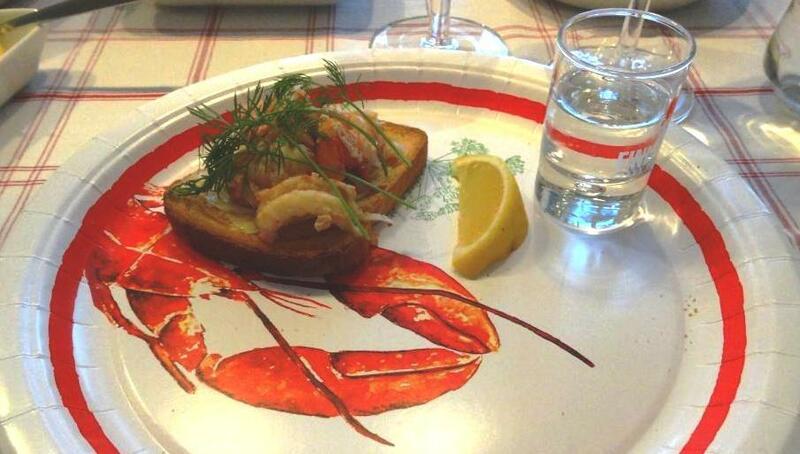 Short introduction to traditional Finnish crayfish party secrets especially for nonresidents. 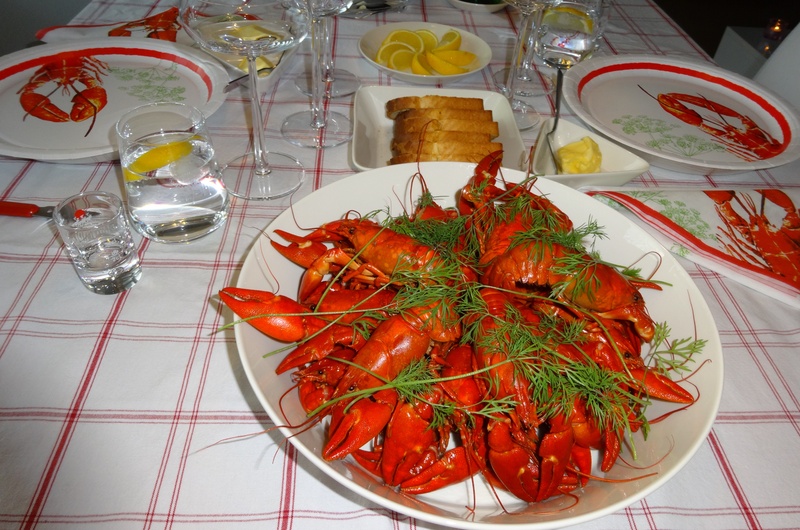 Crayfish season in Finland is always between 21st of July and 31st of October. There are two species available, crayfish and signal crayfish. Origins of crayfish are in Finland but signal crayfish was imported from U.S.A in 1960’s. Crayfish is less common than signal crayfish and therefore more expensive. You can of course dine at restaurants offering crayfish menu’s but more convenient is to enjoy them at home and hopefully outdoors. First thing; make sure there is sufficient amount of drinks for the whole meal. 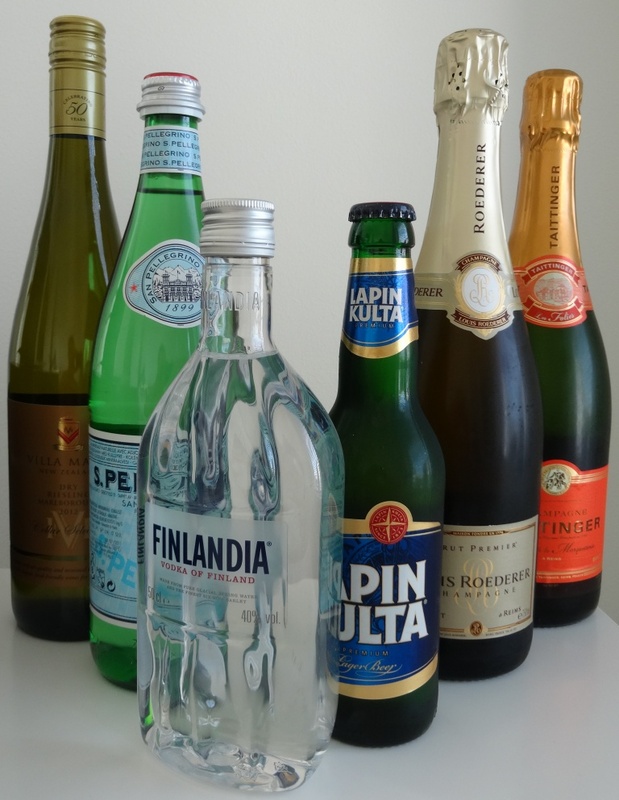 You must have schnapps available which can be Finnish vodka or Swedish aquavit. 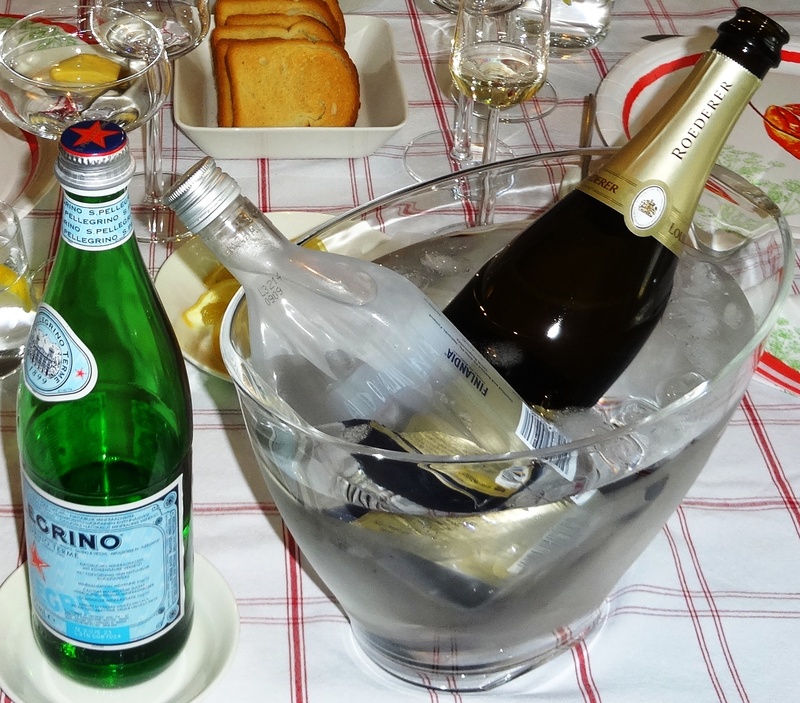 Then you must decide if champagne, white wine (recommend riesling) or beer suits best depending on your taste. And of course mineral or mountain spring waters must be available. But remember that all bottles on the table and in the fridge are not meant to drink in hurry. As crayfish dnner takes about 3-5 hours, be careful! 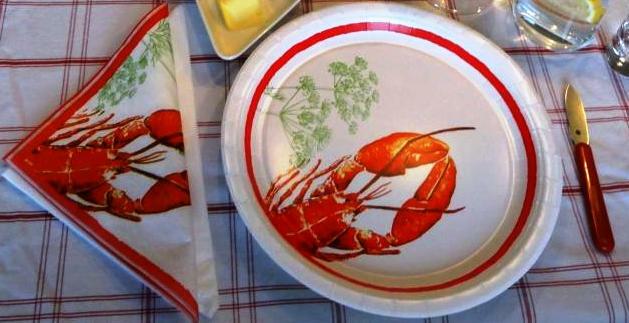 Pictures of crayfish must be everywhere; in serviettes, tablecloth, plates, crayfis bib…etc . 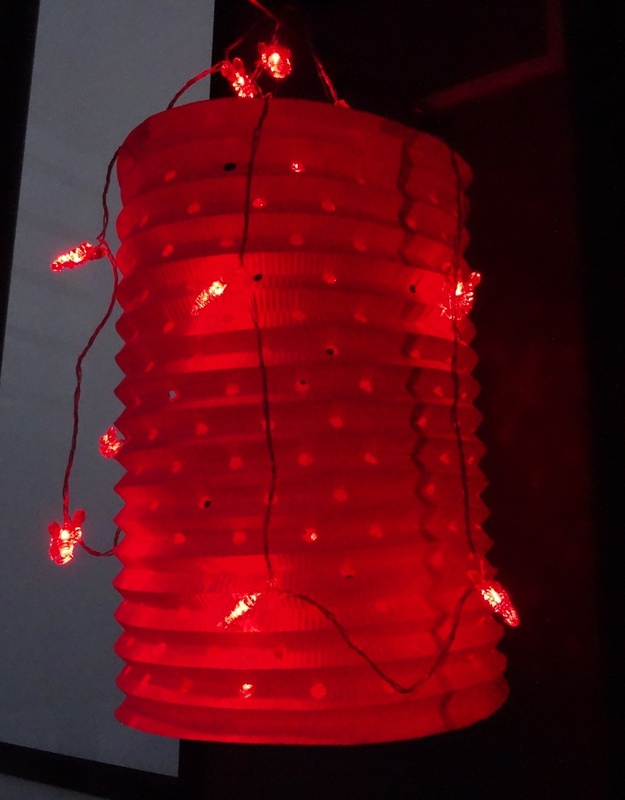 Even lanterns must include crayfish figures. Eating crayfish requires specific knife in order to deal with claws. Otherwise they are eaten with the hands. 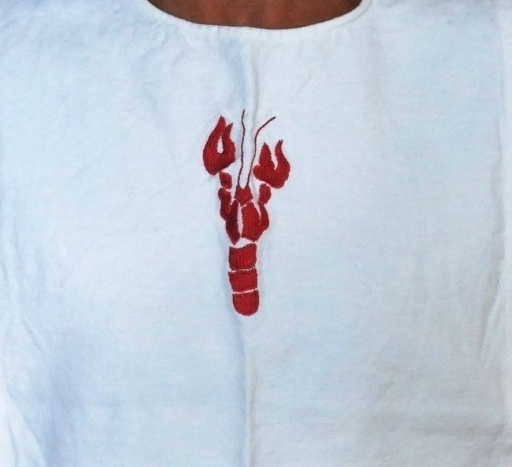 Crayfish bibs are usually made from disposable material but you can of course make long-term investment or get them as a gift. And make sure bib is enough long to extend up to the knees. If it is too short, you will notice it afterwards. 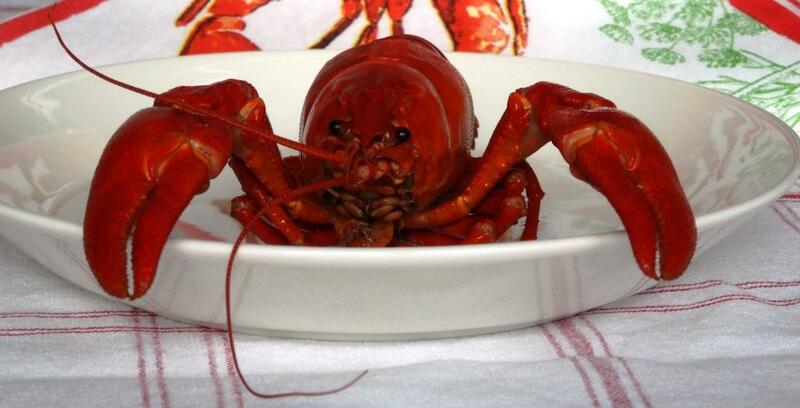 To eat only crayfish the entire course of the meal is rare. It takes so long time to eat them that you become hungry again during the dinner, so it is usual to eat crayfish as a starter. Thefore reserve about 7-10 crayfish for each diner and you are ready to float in the atmosphere. But if you decide to eat only crayfish, 20 is the minimum amount. If you are not sure how to eat crayfish, just google How to eat crayfish and you find several videos. Then, it is crayfish party time! This is such a fun article! I re-posted it on my facebook and it is getting a lot of success 🙂 Bon appetit! Thanks and kiitos! Must eat crayfish once a year but that is enough. I will be back in Helsinki in a few weeks. I will be looking out for crayfish. Ensure crayfish are Finnish if it is not mentioned. Some restaurants serve Chinese or Spanish ones.